Amway (short for American Way) is an American company using multi-level marketing techniques, that sells a variety of products, primarily in the health, beauty, and home care markets. 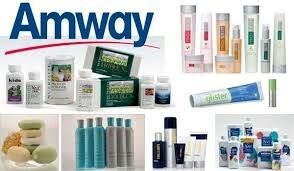 Amway was founded in 1959 by Jay Van Andel and Richard DeVos. Based in Ada, Michigan, the company and family of companies under Alticor reported sales of USD$11.3 billion for the year ended December 31, 2012—the seventh consecutive year of growth for the company. Its product lines include home care products, personal care products, jewelry, electronics, Nutrilite dietary supplements, water purifiers, air purifiers, insurance and cosmetics. Amway conducts business through a number of affiliated companies in more than a hundred countries and territories around the world. Amway was ranked No.114 among the largest global retailers by Deloitte in 2006, and No.25 among the largest private companies in the U.S. by Forbes in 2012.